AirAsia collaborates with Google Cloud to transform into a travel technology company - All Chucked Up! Once again, AirAsia is finding bigger and better ways to advance and improve their services through the use of technology. Truly a testament to the company’s commitment to making customer service and convenience top priority. AirAsia is working with Google Cloud to integrate machine learning and artificial intelligence (ML/AI) into every aspect of its business and culture as part of its transformation into a travel technology company. 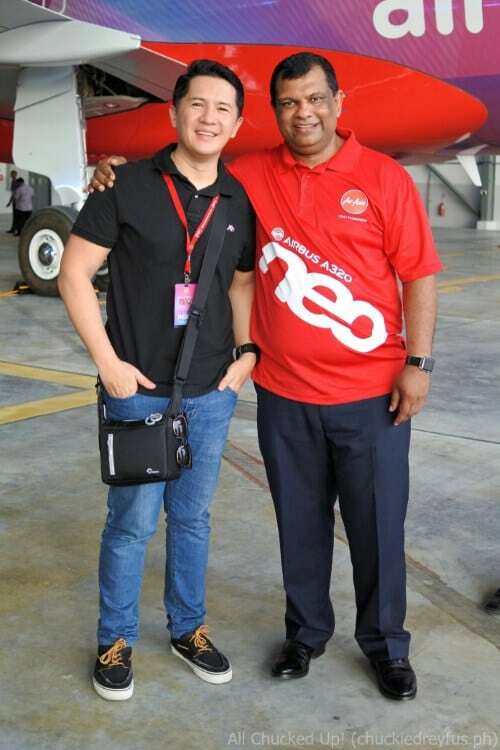 AirAsia Group CEO Tony Fernandes said, “AirAsia has been at the forefront of adopting new digital technologies since our inception in 2001. We are now in our next phase of development where we are expanding beyond air transport and digitalising our operations and processes to become more efficient. Tony and myself taken during one of AirAsia’s events in Kuala Lumpur. “AirAsia has been at the forefront of adopting new digital technologies since our inception in 2001. We are now in our next phase of development where we are expanding beyond air transport and digitalising our operations and processes to become more efficient. 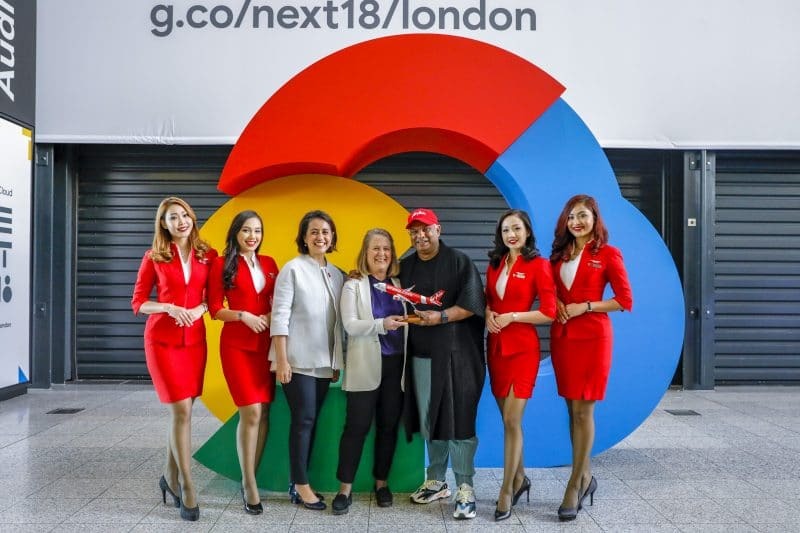 Google Cloud CEO Diane Green (centre), AirAsia Group CEO Tony Fernandes and AirAsia Deputy Group CEO (Digital, Transformation and Corporate Services) Aireen Omar flanked by AirAsia cabin crew at Google Cloud NEXT ’18 in London. AirAsia + Google Cloud = Better solutions and Greater efficiency! AirAsia’s technical team will work with Google Cloud engineers allowing the airline’s technical teams to solve specific business scenarios while gaining a solid foundation in AI with Google Cloud’s state-of-the-art TensorFlow and Cloud Machine Learning Engine. AirAsia will be able to enroll its technical teams in the same programme Google Cloud uses to train its engineers, allowing the airline to build on its own internal machine learning expertise. AirAsia will also work closely with Google Cloud to digitalise and transform its way of work and culture by deploying G Suite and Chrome Enterprise to create an agile digital experience that will provide access to data and analysis when and where they are needed for faster, more informed decision-making. To view Tony’s presentation on how AirAsia will work with Google Cloud to become a travel technology company, please visit g.co/cloud/nextonair18. Good job, AirAsia! 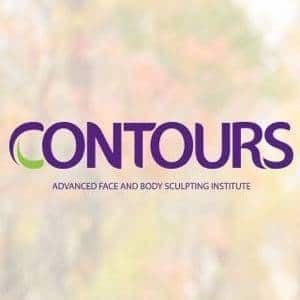 Here’s to furthering your commitment and relentlessly finding newer ways to make customer experience exceptional and always delightful.